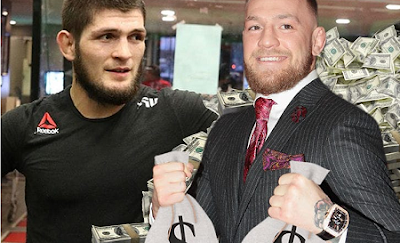 Of course, the beef here is real -- when Conor attacked that bus at Barclays Center, he was targeting Khabib for allegedly disrespecting one of his friends in the days before UFC 223. Which leaves us with UFC 229 on Oct. 6 and UFC 232 on Dec. 29 -- both in Vegas!! !